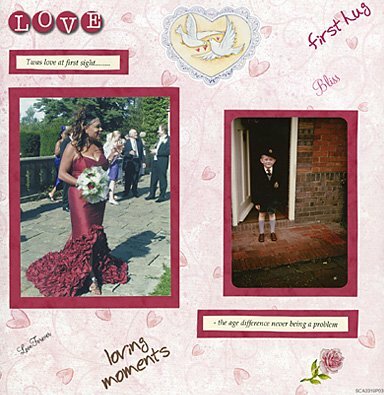 Wedding scrapbook pages are a very personal thing, but what’s great is that usually you’ll have heaps of photos to choose from. Then it’s all about grouping themes together, or picking one particularly poignant moment and featuring that on it’s own. Here is a link to a site that I visit from time to time but I just think their collection of wedding pages is particularly inspiring. (There are 29 layouts here, mostly very good indeed, and you just need to keep clicking on the green arrow to see the next one). 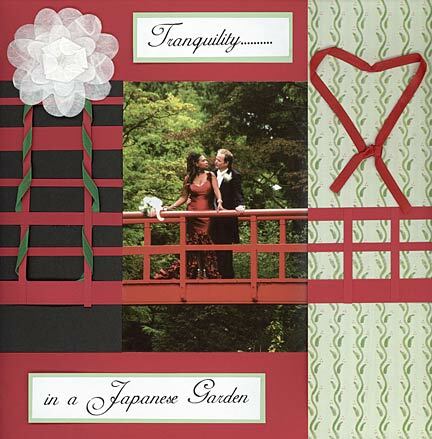 Another fine collection of wedding scrapbook layouts can be found at About.com. 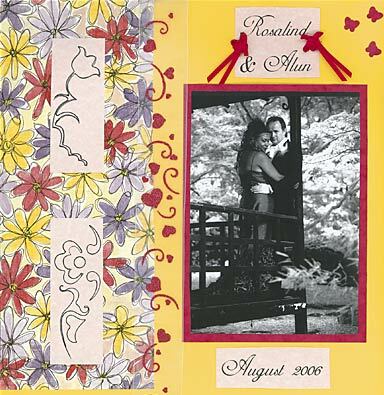 This is always a good scrapbooking resource, but again I liked their wedding layouts and I wanted you to feast your eyes on them too. You can see those layouts here . I think the key thing with wedding pages is to capture a mood and not have a mixture of moods per page. For example the last of my layouts is light-hearted, the other two romantic. Neither mood is better than the other – I just don’t think they mix too good! Nothing wrong with humour at a wedding. Nothing wrong with humourous wedding pages. As for journaling on your wedding layouts, only you know how you felt at a particular time, or what a specific moment meant to you. Just because your auntie might not understand the reference as she'd looking through it, don't worry. that will impress as well as delight your family. Enjoy!